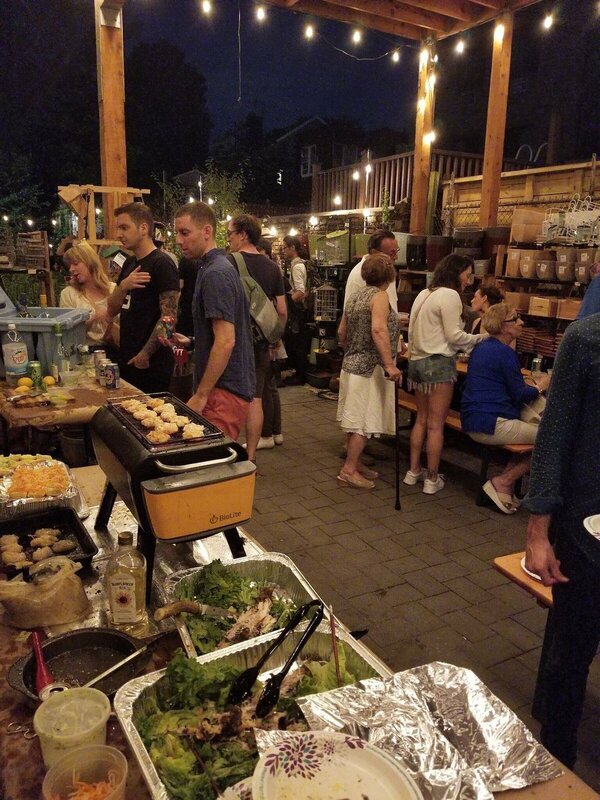 This past week we hosted a little BBQ in our backyard garden with the good folks from BioLite. The new BioLite FirePit was cooking up a storm! And, the best part about it... no smoke! Their patented airflow technology works like a charm by keeping the fire going and smoke-free. Thank you to everyone who came out for the event. We had a great time eating and drinking with friends and fam!